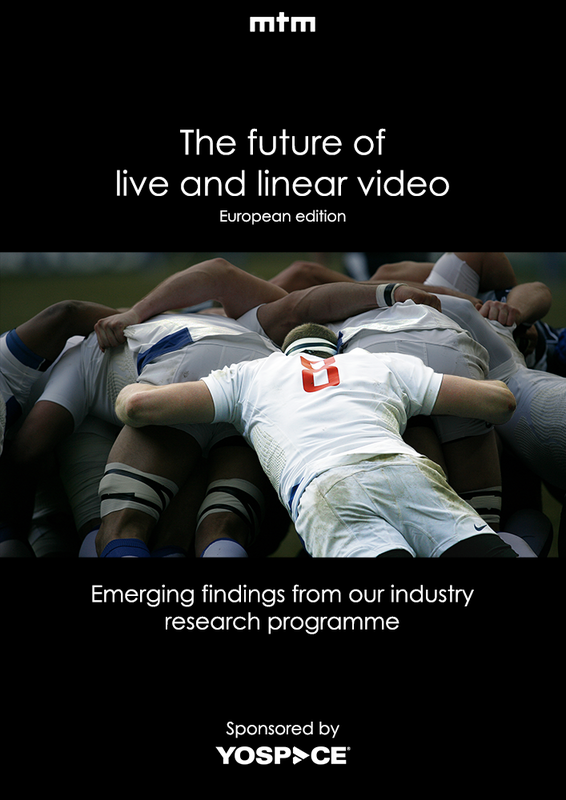 Throughout 2017, leading international research and strategy consultancy MTM carried out an extensive research programme, sponsored by Yospace, that looked at the future of live and linear video in Europe and the United States. The findings are published in two reports, which you can download below. The research found that TV executives are bullish about the prospects for live and linear channels, despite intensifying competition for audiences and ad spend. 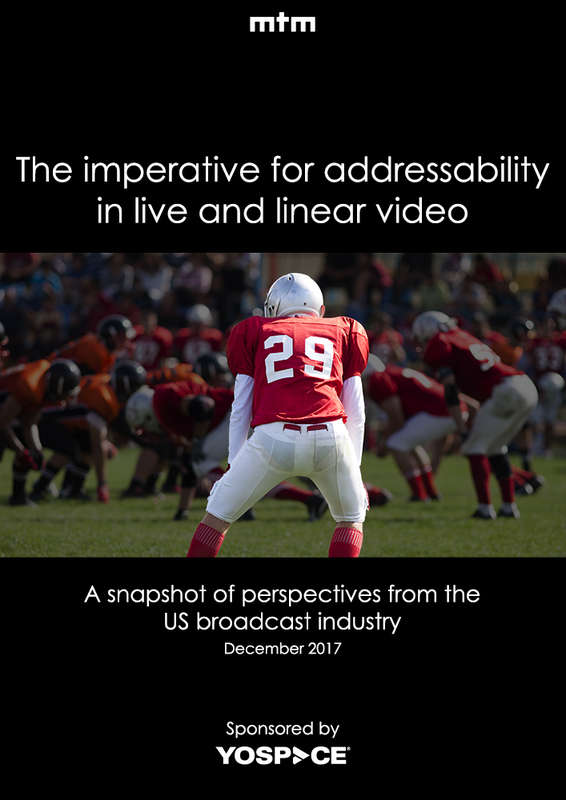 Live and linear TV is unique in offering mass concurrent audiences and as the online market fragments, the value of that reach is growing – delivering “immense value” (according to US executives). However, central to enhancing this value, according to the study, is the need to invest in advanced TV advertising (ATVA) technology. The wider development of ATVA capabilities on TV platforms will require broadcasters and MVPDs to strike partnerships and commercial agreements, as required, to bring data and inventory together – partnerships that have proven challenging to establish. The research was informed by seminars in New York and Europe attended by leading US and European TV executives, and was supplemented by a series of one-to-one interviews discussing the current state of the live and linear TV market, its future in the digital landscape and the steps required for broadcasters to protect and enhance market share. Click an image below to access the relevant paper.